RW will be competing in the first Offshore race for the Iceberg winter series. There are not many yachts with the CAT 4 safety requirements so competitor numbers will be low. There are only 4 races in the series of which you can drop one race. 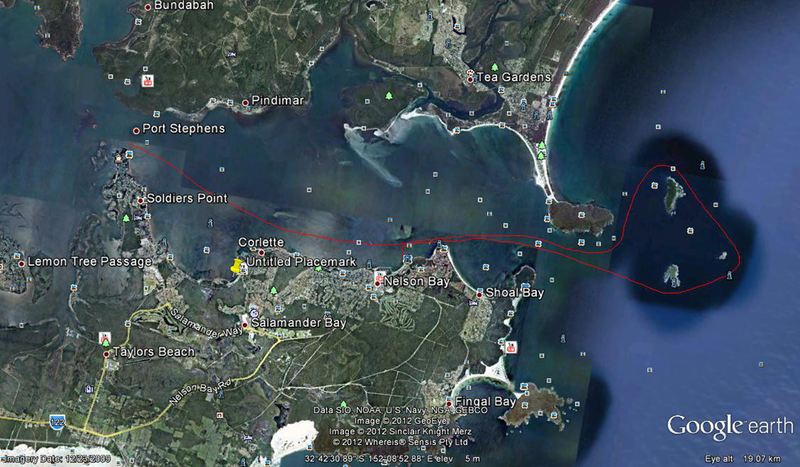 The race starts at Soldiers Point @1100 h and heads out past Tomaree Heads. There are three islands just offshore (Cabbage Tree, Little Island and Boondelbah) and depending on the wind direction there are several variations of passage around the islands. The finish line is off Fly Point just to the east of Nelson Bay Marina. The large swells left over from todays forecast Low should be reducing and the wind looks good around 10-15 knots so it should be a great day. Just hope the rain stays away. While we are racing offshore, the remainder race the inshore Iceberg series.